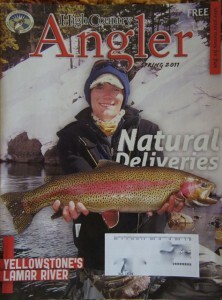 Congrats to our friend Sean Surniak for taking the cover of High Country Angler in the Spring 2011 issue! 2011 has proven to be a great year so far for Sean, not only did he get the cover of High Country Angler he also recently set the new Colorado state record for Snake River Cutthroat. Sean is the man and might honestly be the best fisherman I have ever been around. Some people (not me) have a weird knack for things and just always seem to have the touch, the drift, the fly, whatever it is that sets them above the rest. Sean Surniak is that guy…on steroids. 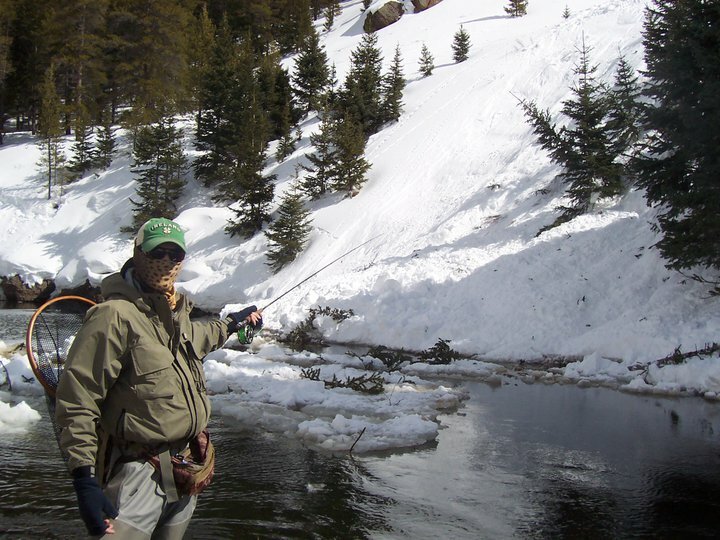 While he clearly has a talent for finding some big fish, he is a humble fisherman who loves going out and fishing for brookies or throwing small dries just as much as he does hooking slabs. 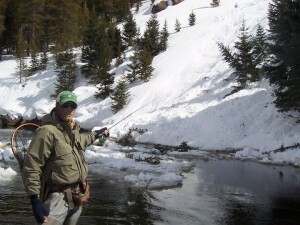 Now that it is summer you will probably find Sean fishing the stillwaters of South Park or finding some peace and quiet at some of Colorado’s high mountain streams. Nice work Sean. About a week ago Sean Surniak sent me a picture of an avalanche on the Taylor when he was there. 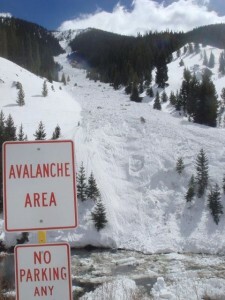 Luckily, no one was standing in the hole when it came down but Sean described the sound as a “freight train” and said there were trees scattered all over the Avalanche Hole. This week I got another report of an avalanche up there. The Avalanche Hole on the Taylor is no joke, especially this time of year. Be careful out there, and if you hear a train coming I suggest you run for higher ground. 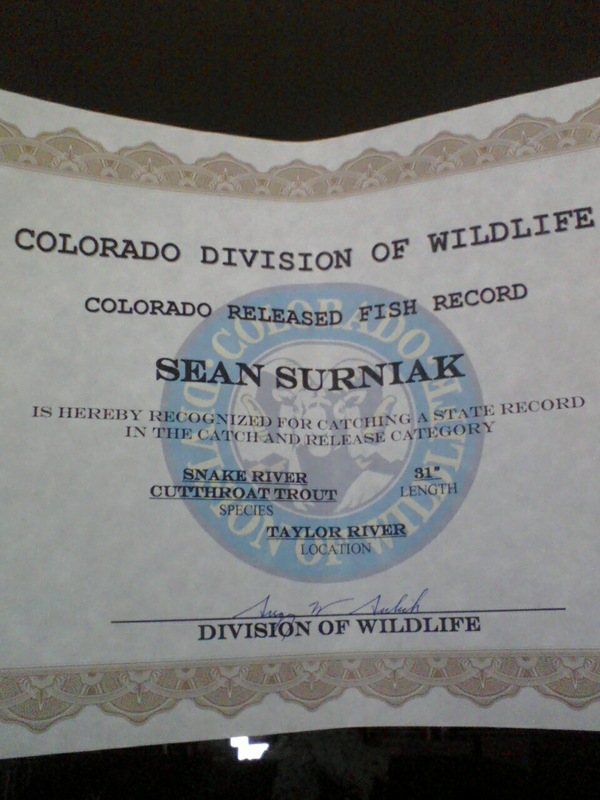 Fellow dirtbag fly-fishing fiend Sean Surniak got his certificate today. He is the new Colorado Snake River Cutthroat catch and release state record holder. 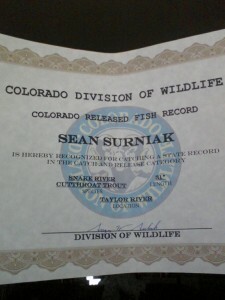 He caught it one year ago next week (as a dirtbag he doesn’t care to change the date on his camera), but it has taken the state this long to go through and change their website to reflect the new records. 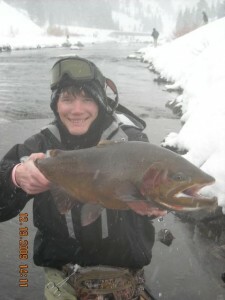 Congrats to Sean, that is one hell of fish that I know I couldn’t land.